We are proud to invite you to our first event at "Teatro Barceló", one of the most emblematic night clubs in Spain! Enjoy a special event at the VIP lounge "Cielo de Madrid" (Sky of Madrid) on the 3rd floor, exclusively reserved for InterNations. Meet and celebrate with expats and global minds from all over the world where artists like Andy Warhol, Prince or the Rolling Stones spent long nights during their visits to Madrid. Teatro Barceló was inaugurated as cinema and theater back in 1931. Decades later it was converted into a night club, taken over by "Pachá" and quickly became a reference for nightlife in Madrid when the famous "La Movida" marked a new epoch in Spain in the 1980s. 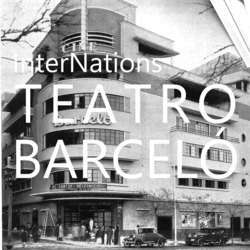 In 2013 it was renamed into Teatro Barceló to close the gap between its origins and the world-renowned club of today.